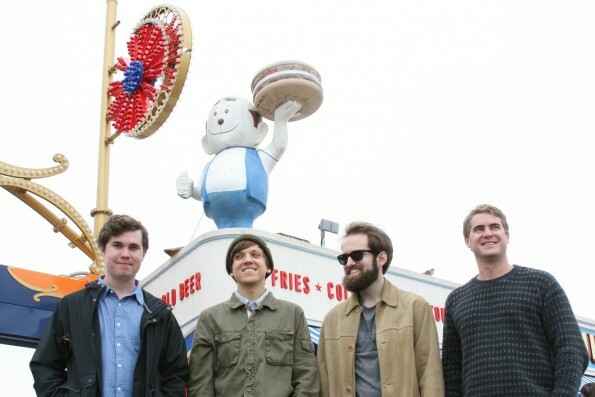 To throw a band named Surfer Blood into the surf rock genre seems like a job for Captain Obvious, but the band from West Palm Beach, Florida definitely encapsulates the surf rock sound with their dreamy guitar hooks and compelling lyrics that conjure escapism. Although on their latest album, “1000 Palms,” Surfer Blood has obviously matured both lyrically and instrumentally with a renewed sense of time, place and confidence. Speaking of compelling, don’t miss Surfer Blood performing songs from “1000 Palms” and across their entire music library at The Chapel on Monday, June 8th. To enter, all you have to do is send an email to contests@theowlmag.com by 10:00 AM PST on Saturday, June 6th. Make sure that “Surfer Blood @ The Chapel” is in your subject line, and your full name is in the body of your email. Good luck! Not feeling lucky? Tickets to this all ages show can still be purchased here.